If one travels to vast majority of Chabad communities outside of Crown Heights and some in Eretz Yisroel, one does not find them dominate by meshichisten. Yes a few individuals in many communities may identify with that approach. We Lubavitcher have been left marching orders by the Rebbe zy”a, we have much to do in both inreach and outreach, it is our fervent hope that G-d will sent Moshiach very soon to end the Golus. They effectively hold 770 as their fortress. What more do you want. Why is it forbidden to walk into a bathroom wearing a kippa that says Yechi Adoneinu Moreinu v’Rabeinu Melech HaMashiach? Personally I am sick to my stomach. This is a lead story in all newspapers and their websites. And soon we will be hit with the RC findings. Then, Adass will be in the spotlight re Leifer and not only not supporting her victims, but being ‘cute’ by saying Leifer was not employed by the school and not headmistress. And then we wonder why so many kids frei out TOTALLY, and never want to see a shule again ever. It has nothing to do with kids going off the Derech. Ask Avi Yemini. The vast majority of Rabbis and teachers are respectable and respected people. Adass isn’t being sued here for aiding and abetting. From what I heard this is a civil case for compensation which the insurer is liable to defend. I see hundreds of Scopus kids on Friday night at Gandel Besen and there were quite a few victims of child abuse from Scopus at the royal commission but the antiJewish News decided not to mention it. I wonder if Avi Yemini will ever get equal time and space? Adass isn’t being sued here for aiding and abetting, as Al Capone wasn’t charged with murder. 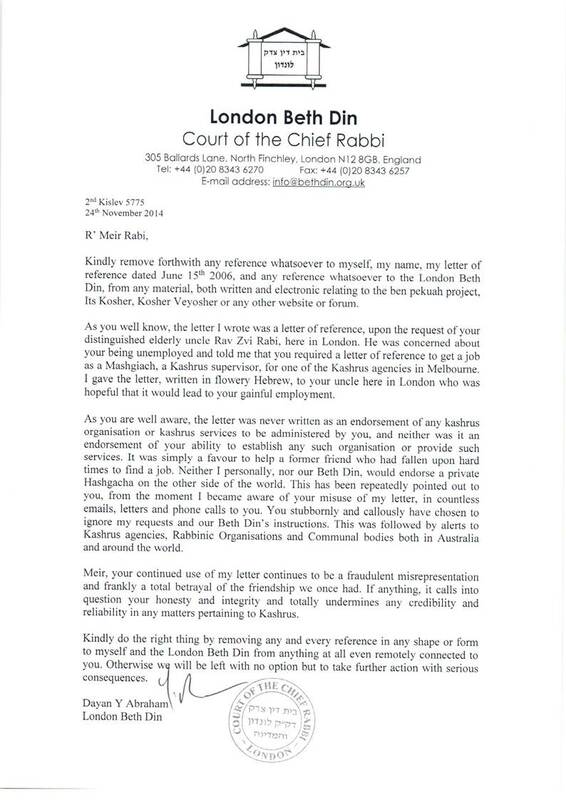 I never knew that Mosiach will be appointed by Bassar Va’Dam. Can I appoint someone else? How does one know whom to appoint? Does he need a Schtreyml? If you have marching orders to end the Galuth, start marching. Eretz Yisroel is waiting for these marchers, but it seems that they do not obey the order. Previous Previous post: Is it a Mitzvah vs a meritorious act to say Kaddish?